As a licensed CERTIFIED FINANCIAL PLANNER™and CPA, Lyndsay personally guides families and individuals in the achievement of their financial goals. And as Onyx's client-relations manager, she works with all of the firm's clients, forming strong relationships and establishing a foundation for excellent future communications. She's involved with every client from the early point of setting up investment accounts through being an ongoing point of contact to answer questions and carry out client requests. Lyndsay's business background is varied and reflects both her extraordinary drive and her commitment to excellence. She began working for Parry, Roe & Company and Onyx Financial Advisors in January 2008 doing everything from tax and financial statement preparation to managing operations of both firms. Part of her role with Onyx is ensuring the continued compliance of the firm and its advisors with state and other regulatory agencies. As a high-quality registered investment advisor firm, Onyx adheres to very strict requirements that Lyndsay is specially qualified to oversee. 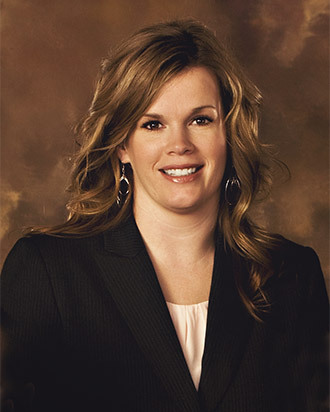 Lyndsay's career includes positions in healthcare, a title company, and in the legal field. Each of these seemingly unrelated roles prepared her significantly for the work she does now. Before joining Onyx, Lyndsay worked for a home health provider in a dual role involving the financial side of the company as well as the service side. Her compassion and appreciation for individuality aided her in helping the disabled or elderly clientele and their families through challenges and difficult decisions. The business side of her job provided small-business operational experience and showcased her organizational skills in the opening of a new facility, streamlining accounting processes, and managing complex Medicaid billings. Lyndsay's title-company role also exposed her to the balancing act that is part of administering a rule-based financial business. Lyndsay previously worked as a deputy clerk for Bonneville County Courts and then later for the Jefferson County Prosecutor's Office where she was a victim witness coordinator. In the latter position, she honed her people skills in the delicate work of helping crime victims understand their rights and ready themselves for meetings, hearings, and other difficult situations. Lyndsay's ability to listen for the unspoken—being sensitive to people's underlying needs—prepared her well for assisting people in planning their financial futures. Her background reflects just how much Lyndsay enjoys working with people and making a difference for them. She came to Onyx in order to provide much-needed and deeply personal services that others in Idaho Falls simply don't offer. Her advancement from traditional accounting to the financial advisory profession came about because, while she has always had a knack for accounting, she feels that tax and accounting work is too backward-focused to make a great enough impact. Her real enjoyment is making a difference in peoples' lives, looking forward and creating a financial future they can be excited about—something she gets to do every day at Onyx. Outside of the office, Lyndsay loves spending time with her husband and two children. She also enjoys baking, camping, fishing, running, photography, book club, and quilting.